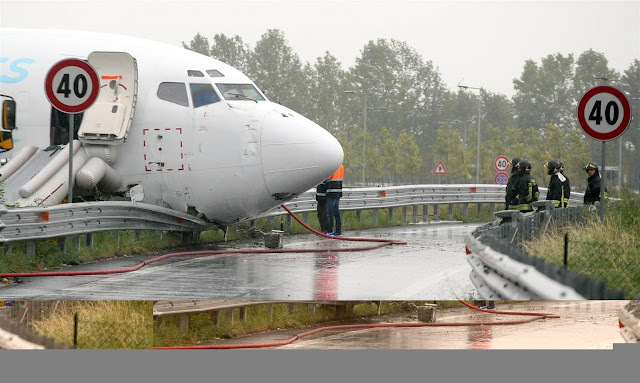 A cargo plane has overshot the runway at Bergamo’s Orio al Serio international airport and crashed into a road. The airport in Italy’s Lombardy region was temporarily closed after the incident which happened at 4am Friday morning. 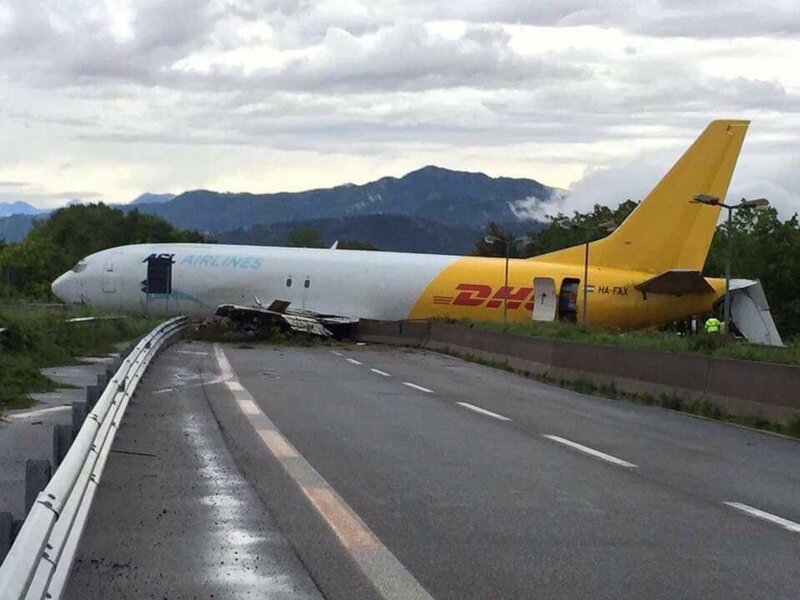 Dramatic pictures showed a 737-400 aircraft belonging to courier firm DHL wedged onto a road at the end of the runway. The plane had landed at 4.07am after a flight from Paris Charles De Gaulle. No one was reported to have been hurt in the crash with the crew escaping unharmed.